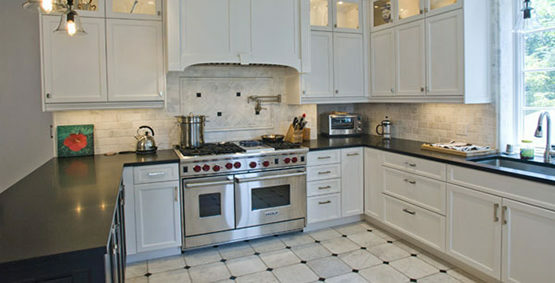 This project stands out as one of the most interesting and rewarding remodeling projects that Jud Tile has done. We were hired to remodel four full baths, two half baths, and install new tile floors in a customer’s home. What made this project special, is that the customer owned a 150-year old townhouse in historic Georgetown in Washington, D.C. The renovation was being done to bring the home up to current standards, both aesthetically and functionally, while respecting its 150-year history. The renovations required insightful design and selection of materials to create beautiful functional spaces that looked like they were always there. 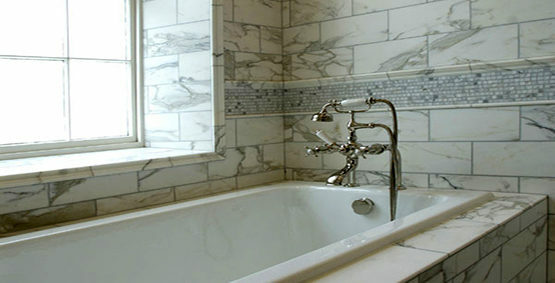 To create this look, marble and natural stone were the materials of choice. Tiles were laid in traditional patterns with careful use of accent tiles to catch the eye and give a pop of color and interest. 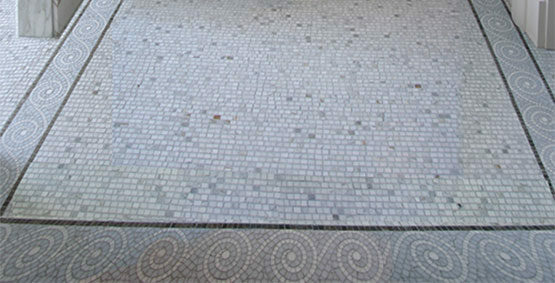 One of the most interesting and beautiful features of this project is the intricate mosaic floor in the master bath – it gives one the feel of stepping into an ancient roman bath. 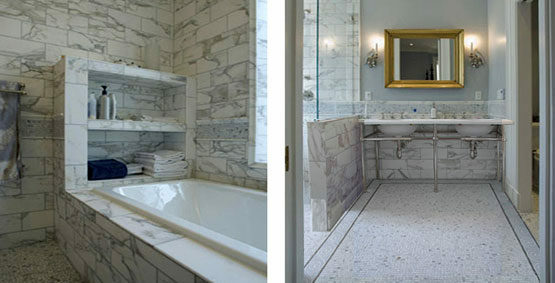 The combination of a keen eye for design and mastery workmanship produced an end result of timeless and elegant beauty.